Every year around this time the excitement reaches levels only to be compared to Super Bowl weekend, as fans are full of hope that their beloved teams will improve, lifelong dreams are close to realization and draft board speculation is sky high. 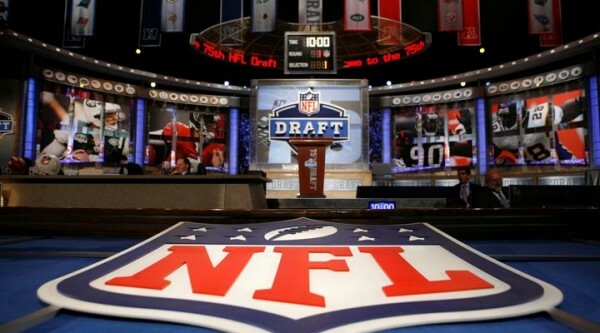 The 2014 NFL draft is no different and carries some of the greatest storylines in awhile featuring JaDaveon Clowney, Johnny “Football” Maziel, and many others. Clowney who is a pure freak of nature, has been criticized by many for his lack of effort on certain plays but that is hardly enough for any NFL team with a sound mind to pass him up tomorrow night. Houston Texan fans are salivating at the thought of pairing Clowney and JJ Watt on the same defensive line. In a draft where the team could get Clowney and a quality quarterback to compete with struggling Case Keenum, fans have reason to be excited. Not to be out done in his own state, high profile Cowboys owner Jerry Jones is looking to move heaven and earth to land Johnny Football, who played his high school and college football in Texas. Dallas currently has the 16th pick and many believe he may fall that far in the draft, but will Jones leave that to chance? Knowing his personality, we would say no. It would be pretty interesting to see Manziel and Romo compete for the starting job, though. Johnny Football is a clear fan favorite in this year’s draft and has gobbled up the most media attention coming his way, but it was another top quarterback that made headlines this week, Teddy Bridgewater. As a nine year old child, he promised his mother that was battling breast cancer once he made it to the NFL, he would buy her a pink Escalade truck. In an emotional short 7-minute piece directed by Spike Lee, Bridgewater who is a top 3 QB prospect, made good on his promise. Those are just a few of the top prospects in a deep draft, the first two-three rounds have some incredible talent available– from top 5 prospect OT Jake Matthews (Texas A&M) to Alabama’s playmaking safety Clinton-Dix to phenomenal wide outs USC’s Marqise Lee and Clemson’s Sammy Watkins. Fans everywhere are excited to see what names Commissioner Roger Goodell will be announcing on their team’s behalf at Radio City Music Hall tomorrow night at 8EST.